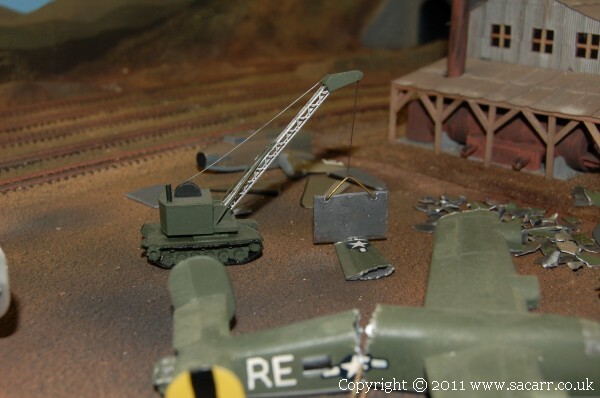 The wrecking crane has been built on a tank chassis. The Kingman cranes used a 6000 pound steel cutting blade to slice up the aircraft parts into pieces small enough to go into the smelter. Etched brass parts from a previous project were used to form the boom of the crane while the rest of the crane was made from styrene. The cutting blade is a piece of lead, used because of its weight as I want to have the blade operating via a cam. The weight will help pull the blade down again. 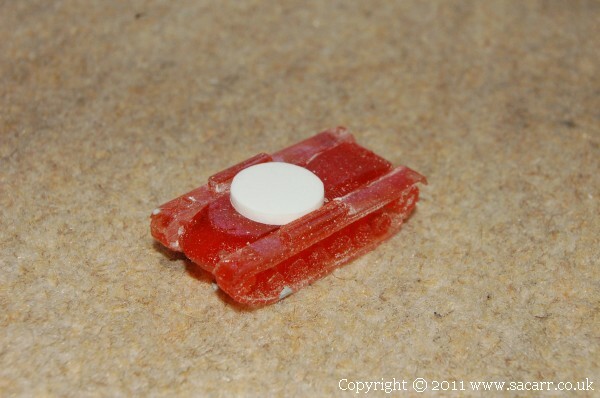 The tanks, which are to be used as flat car loads, are 1:144 scale wargaming models. While not exactly the correct scale, they are near enough. 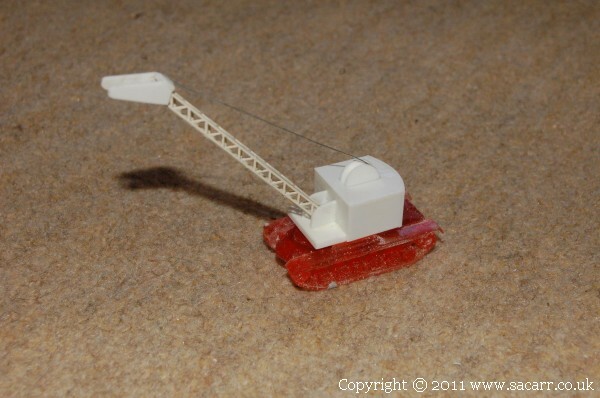 The models are very detailed, right down to the axe and shovel accessories strapped to their sides. 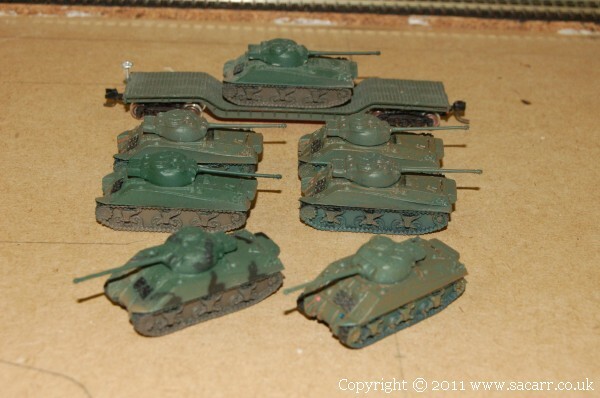 I have eleven tanks, enough to make a decent train load. While not directly connected to Kingman, I'm using the excuse of war materials being transported back from the Pacific Coast after the end of WW2. There are a selection of other vehicles which form flat car loads and general vihicles around the Military Storage Depot 41. 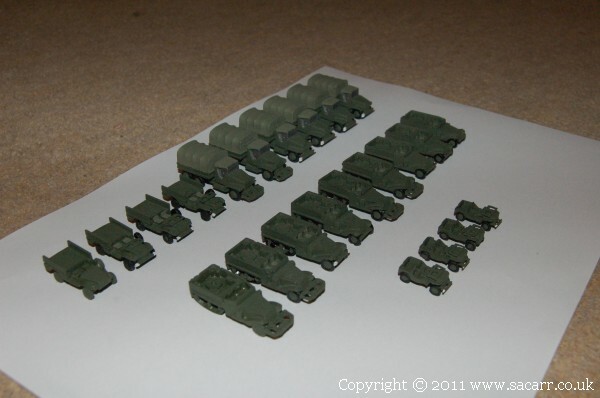 These include GMC CCKW 2.5 ton trucks, Halftracks, Dodge Weapons Carriers and Willys Jeeps. 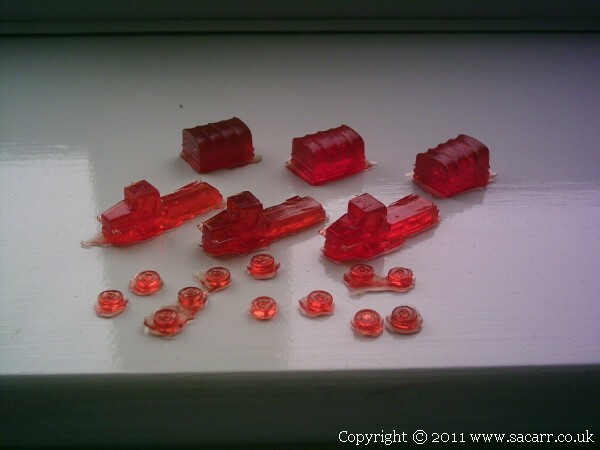 All the vehicles are cast from polyester resin using silicone moulds. 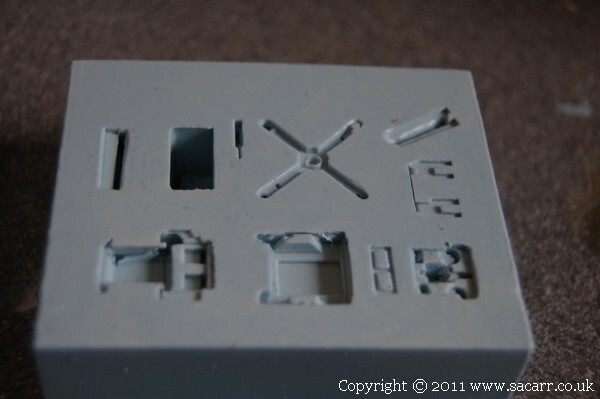 The castings are then removed from the mould, cleaned up and glued together with cyanoacrylate adhesive before painting with normal model enamels.